Bronze medalist Denis Ten of Kazakhstan celebrates during the medal ceremony for the Men's Figure Skating on day 8 of the Sochi 2014 Winter Olympics at Medals Plaza on February 15, 2014 in Sochi, Russia. 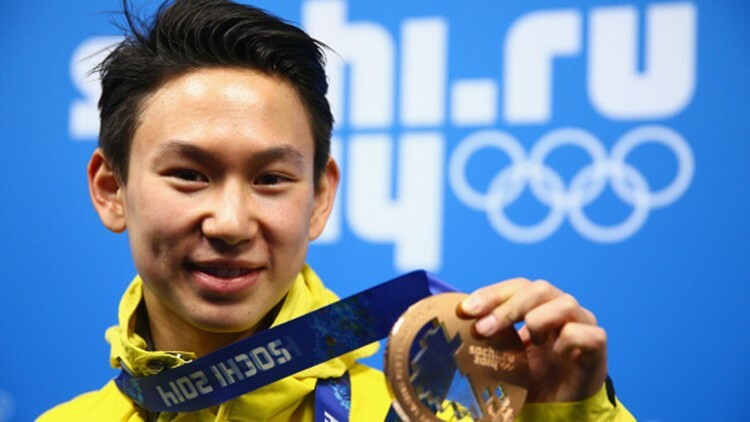 MOSCOW — Authorities in Kazakhstan said Friday a man has been detained and confessed to killing the Olympic figure skating medalist Denis Ten. Prosecutor Berik Zhuyrektayev said in a televised statement that Nuraly Kiyasov "confessed his guilt in the presence of an attorney" while being questioned over the 25-year-old figure skater's death.